Thanks to advances in dental technology and techniques, nearly any cosmetic dental flaw from discoloration to misshapen teeth can be corrected today. Experienced in the wide array of cosmetic dentistry options, board-certified dentist Dr. Ed Trizzino has improved the appearance of countless smiles throughout the greater Atlanta area. To learn what cosmetic procedures may be right for you, call Dr. Trizzino at Smiles of Atlanta, located in Sandy Springs, Georgia. The practice serves patients from throughout Northern Atlanta, Georgia, including the communities of Sandy Springs, Alpharetta, Dunwoody, Brookhaven, Roswell, Norcross, and Tucker. or book an appointment online. 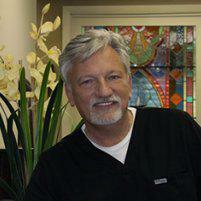 What cosmetic dental services does Dr. Trizzino offer? Both crowns and veneers can be used to treat some of the same issues, including deep stains and discoloration in the central portions of the tooth, chips, and uneven tooth surfaces, but while a veneer rests only on the front visible surface of the tooth, a crown surrounds the entire tooth. That means a crown can also provide additional strength and protection to teeth that have extensive decay or traumatic damage, and they can also be used to hide large, dark fillings. Veneers are also much thinner than crowns, and less tooth material needs to be removed when applying a veneer. Dental bonding uses special resins that can be custom tinted and applied to the teeth to correct an array of aesthetic issues, including discoloration and stains, uneven tooth edges, cracks, and chips. Bonding can be used to address many of the same issues as dental veneers, and it can be applied to the tooth in a single visit for a quick result. It’s also less costly than a veneer, and it doesn’t require the removal of any tooth material before the restoration is applied.